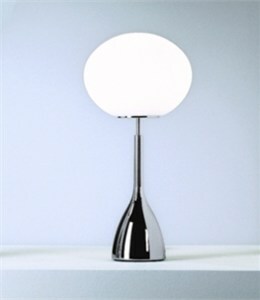 DESCRIPTION Table lamp with satin white blown glass diffuser. Base and stem available either in mahogany or polished chrome. Matching floor and pendant designs available. LIGHT SOURCE 1 x 60 watts, incandescent, G-16.